Here in Australia we don’t really do altitude. The highest mountain on the continent is only just over 2200m above sea level. But when travelling overseas we can reach some significantly higher altitudes (not even counting airplane travel). At high altitudes the air is thinner, making it harder to breathe, and “altitude sickness” (or AMS: acute mountain sickness) can be an issue, especially when first reaching altitude and before your body can acclimatise. If not treated/managed, it can be debilitating and even fatal. 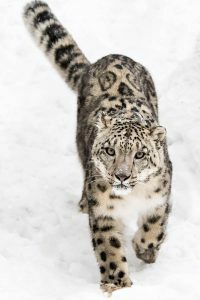 My 2017 has a bunch of travel already scheduled, starting with my January trip to Ladakh, India in search of snow leopards in the wilds of the Himalayas. 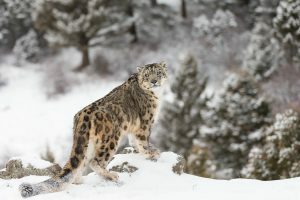 This is a precursor to the snow leopard photography workshop I will be conducting there in February 2018. On this trip we will start off in Delhi which is around 200m altitude, then fly straight up to Leh which is at 3500m. We then spend three nights there acclimatising before heading off by road to our accommodation for the next week, which is probably around 4000m. During my stay I’m sure I’ll go higher than that during the days of course. 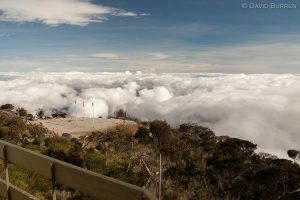 When climbing Borneo’s Mt. 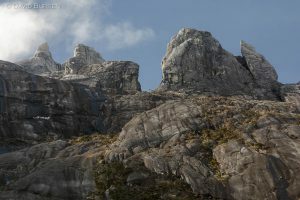 Kinabalu 15 years ago I remember I was struggling at 3300 m, even after sleeping at that altitude. We got rained out the next morning and couldn’t make it up to the 4100 m summit, but making it all the way was going to be a challenge. In hindsight that trip (it was essentially a packaged tour) did involve fairly steady altitude gain. One night we spent at maybe a few hundred metres, then the next at the park entrance above 1800m, then to Laban Rata at 3272m before attempting the summit the next day. And lots of physical exertion was involved. Both Jane and I struggled with the effects of AMS on that trip. 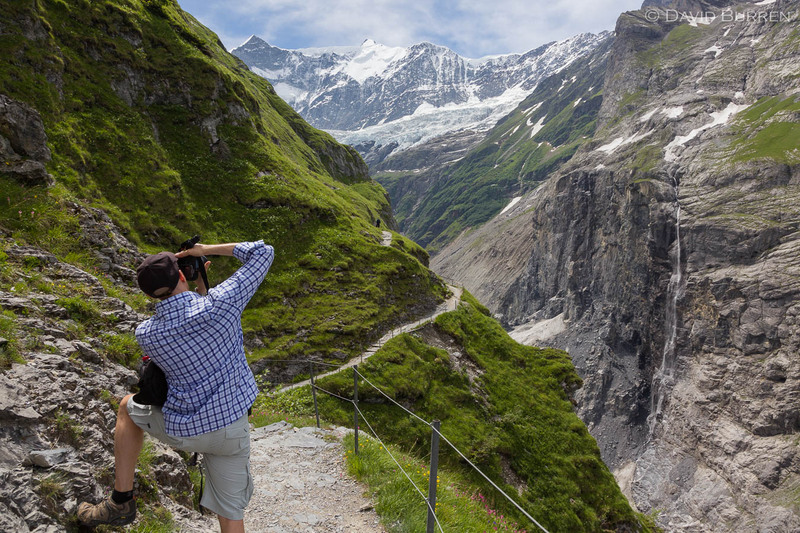 A few years ago we spent some time in Switzerland around Grindelwald which is around 1100m. 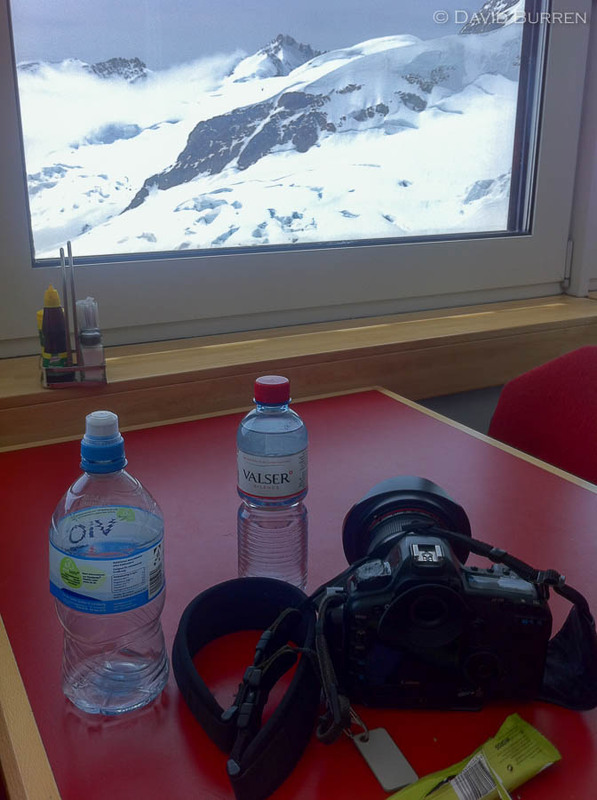 After a few days of travelling around the nearby hills (including hiking up to 1800m) I took the train through the face of the Eiger up to the Jungfraujoch at 3570m, and although I moved around very slowly (starting off with a visit to the cafeteria to sit with a drink for a while) and was conscious of a lack of breath, I didn’t have any nasty effects. I did return to Grindelwald the same day of course, so it’s not directly comparable. 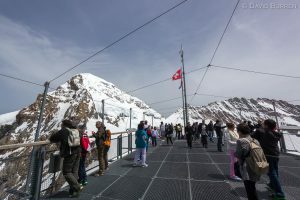 Tourists on the Sphinx outdoor platform. Quite a few at 3571m above sea level! So AMS is a bit of a worry for this Indian trip. Especially as I have Type 1 diabetes (T1D). Unlike for people without diabetes, every day is a balancing act between my food intake, my exercise levels, and the insulin I feed in (currently via an infusion pump). I need to keep my blood glucose levels within range. If they go too high there are bad effects (usually not immediately debilitating) and if they go too low there are also bad effects (debilitating and possibly even fatal). If I get ill it can play havoc with my sugar levels of course. But I’ve had diabetes since an auto-immune reaction killed off my body’s insulin production in 1982, so I’ve had a bit of practice at this. This doesn’t stop me from doing my job or having adventures. Never has. As long as I’m prepared for it. I deal with ocean travel (at times seasickness catches up with even me, and I’ve needed to cope with not keeping every meal down) and water poisoning in Borneo and food poisoning in Laos weren’t high points. But I do keep going on adventures. 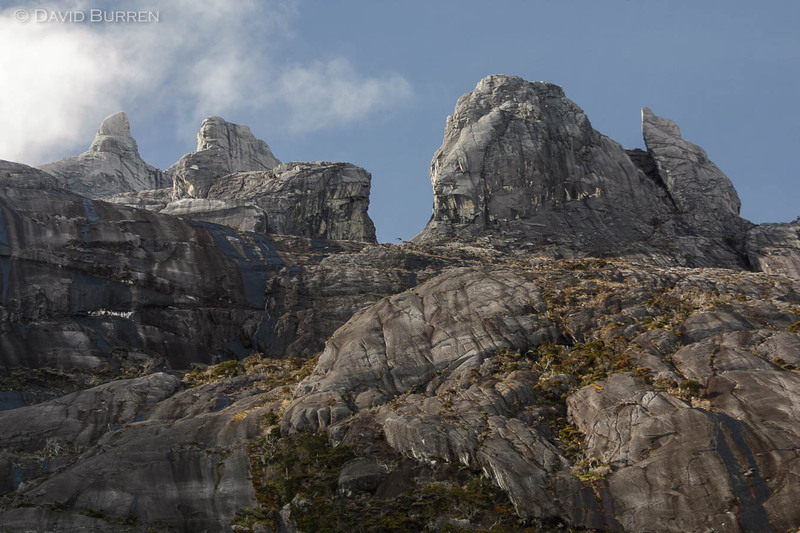 The first time I did the one-week walk over Tasmania’s Overland Track was before I had diabetes, but I next did it 20 years later. I’ve been on bicycling trips around northern Laos. And I take (and teach) groups of photographers to Antarctica, South America, Africa, the Arctic, and the tropics. On some of these trips I’m with my wife Jane, on some I’m with relative strangers. Diabetes doesn’t stop me doing any of these things. But it does need some extra planning. Over the years this has become routine for me. Altitude sickness is hard to predict and there are no guarantees, but I’ve done some research and am confident the Ladakh trip should go well. We’re going high, but just over 4000m is nothing like the 5380m of Everest Base Camp for example. Although the jump up to 3500m at Leh is swift, we spend plenty of time acclimatising before moving on. I’ve been doing regular swimming and breathing exercises (and doing them in the pool noticeably adds extra pressure to the chest) to try to maximise my effective lung capacity (which although not a guarantee, can’t hurt). I’ve been prescribed Diamox (Acetazolamide) tablets which should help speed the acclimatisation to altitude (and am doing a controlled test for side-effects while still at home and near my doctors, which is a routine I’ve used in the past for sea-sickness medications). I even have access to a tiny pulse oximeter so I can check my oxygenation and have more information about what my body is doing (I do know that the SpO2 results from this shouldn’t be interpreted in isolation). I will of course be keeping a close eye on my food intake and glucose levels throughout the trip, as per usual. Checking that my glucose monitoring systems (currently an Abbott Freestyle Libre continuous monitor and an Accu-Chek Mobile blood tester) are going to work is another interesting complication (they each have different official “maximum” operating altitudes). My insulin pump (an Animas Vibe) is rugged and waterproof but is only certified up to 3000m. I will be monitoring it carefully too, and have backup injection methods on hand. But these pumps have been successfully used even in Everest ascents by others in the past. Additional factors include possible changes to the body’s insulin resistance and glycaemic response especially during initial altitude acclimatisation. This isn’t a medical blog per se and isn’t an exhaustive list of my medical preparations, but suffice it to say that I’ll be monitoring and adjusting things as I go. My 34 years of practice with diabetes alongside endocrinologists and other HCPs should help. And along the way I’ll be working hard to get those pictures of the elusive cat known as the Grey Ghost and tuning the plans for the 2018 workshop. It’s going to be a great adventure! altitude, diabetes, health, Himalayas, Switzerland. Bookmark.